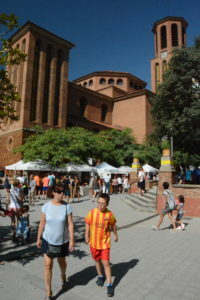 Cornella de Llobregat, is a city of 86,000 people located six miles west of downtown Barcelona. The city gets part of its name from the Llobregat River which forms portions of its southwestern border. Adjacent to its high-density urban areas, Cornella protects a sizeable area for gardens and small farms, including a portion of the Baix Llobregat Agricultural Park which is part of a regional network of 12 linked natural parks. 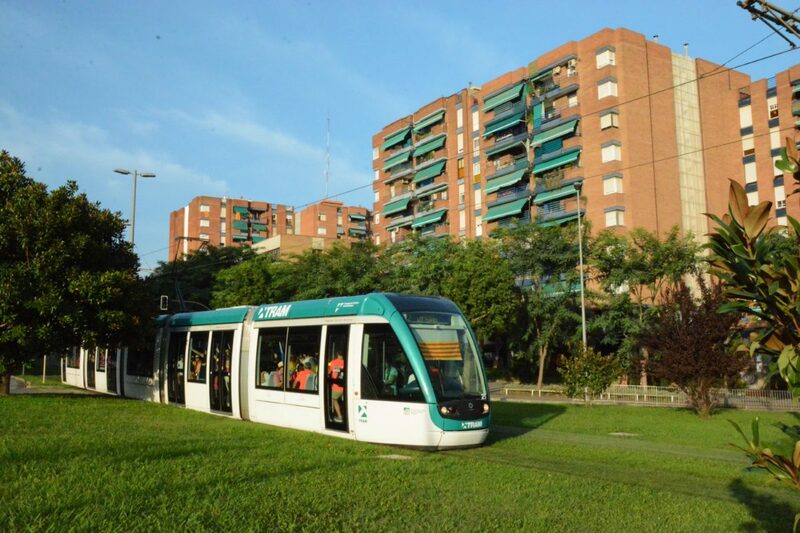 In 2016, the city adopted Cornella Natura, a project designed to naturalize the city, promote sustainable mobility and improve environmental quality. These accomplishments were recently recognized when the European Commission named Cornella as one of two smaller cities to win the 2019 European Green Leaf award (Cornella 2017; European Commission 2018; Maranges 2005). Cornella, along with 13 other municipalities, has joined with two regional governments and the Farmers Union to create the Baix Llobregat Agricultural Park, an ambitious project aimed at creating a living countryside that protects the last remaining farms and farmers located closest to the center of Barcelona. The almost 7,000 acre park lies in the delta floodplains where the Llobregat River meets the Mediterranean Sea. Despite being a major source of fruits and vegetables for the region, this greenbelt was threatened by sprawl until 1997 when a plan was adopted for a consortium of 600 agricultural holdings and 1,200 agrarian workers. The consortium offers expert advice and support so that farmers can make a good living by nurturing rather than paving the land. The food grown here is marketed under the brand name Fresh Produce from the Agricultural Park, making it easy for restaurants, markets and individual consumers to buy local. To burnish that brand, the park is steadily relocating inappropriate uses and creating excellence of the landscape, an image of orderly fields that reflect the quality of the food grown here. The consortium manages the park for maximum long-term environmental benefits to nature as well as agricultural. For example, the consortium compensates farmers for temporarily flooding their fields, a traditional farming practice that also creates short-term wetlands for the nesting and feeding of birds. As its name suggests, the park additionally promotes farm-friendly recreation as seen by the network of walking trails and bike paths that meander through these fields (Dorda and Berenguer 2008; Larch I Poyo 1999; Maranges 2005). The Cornella Natura project is using Green Axes to link civic spaces like this central plaza. 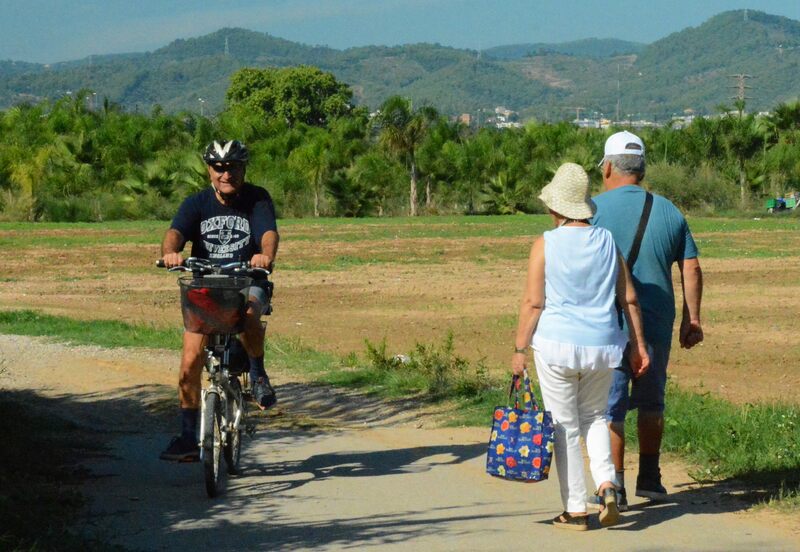 The Cornella Natura project links civic spaces to promote active transportation and ecological connectivity. Green space constitutes 12 percent of the city’s total land area and Cornella wants to increase these 215 acres by 60 percent within the next ten years. The five corridors, or “Green Axes” envisioned by Cornella Natura are designed to deliver social benefits, improve natural heritage and address climate change, particularly floods and dangerous heat events. These green spaces are home to over 250 species of birds as well as numerous reptile, insect, amphibian and fish species. Cornella also manages 165 individual plots in three community gardens where the elderly and poor can grow food for their own kitchens or for sale in local markets including one that operates in a city park (Cadiz 2017; Cornella 2017). Baix Llobregat Agricultural Park is a multi-jurisdictional collaboration aimed at curbing sprawl and preserving a living countryside only six miles from downtown Barcelona. Cornella’s dense and diverse urban neighborhoods lend themselves to the ideal mobility strategy of ‘access by proximity,’ meaning the creation of districts where housing is so close to schools, work and shopping that most everyday destinations can be reached on foot. Walking accounts for almost 90 percent of all internal commutes in the city. In 2016, Cornella launched 16 signposted walks designed to reacquaint citizens with the city’s cultural heritage and biology as well as encourage walking for health, recreation and mobility. Over 50 percent of all trips in Cornella are taken on foot or bicycle with another 30 percent on public transportation. Between 2006 and 2011, private car trips declined by 7.4 percent. 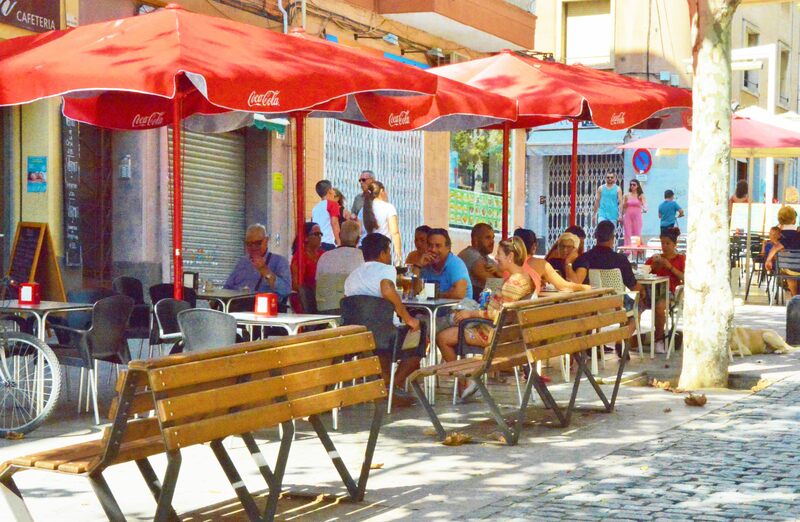 Speed limits of 20km per hour are already enforced on 16km of Cornella’s streets and another 11km of public right of way will be converted to pedestrian zones by 2020. Cornella has built a bike path network of over 10 km and plans to keep extending this system (Cornella 2017). Baix Llobregat Agricultural Park accommodates compatible recreational uses like hiking and bicycling. The municipality leads by example on climate action, using LED lighting, solar, geothermal, photovoltaics, and electrical generation produced entirely from renewable sources. Since 2010, six public schools, five sports facilities and three libraries have been incentivized to observe energy-saving behaviors by being able to keep half of monetary value of their reduced power bills. Cornella employs both carrots and sticks to motivate the private sector, including requirements for the installation of solar thermal panels in private buildings and tax breaks to property owners who use renewable electrical generation sources. The city also trains the unemployed to install solar water heaters using a program that creates green jobs while saving energy in local schools and sports facilities. Between 2005 and 2015, GHG emissions dropped 31 percent (European Commission 2018). With a total of 57 climate action strategies, Cornella aims to reduce GHG emissions over 20 percent by 2020 and more than 40 percent by 2030 (Cornella 2017). Land transportation is the primary generator of air and noise pollution in Cornella. Consequently, the city is focusing on pedestrian, bicycle and public transportation as its primary method of improving air quality and urban livability as well as mobility. In addition, Cornella manages several public engagement programs aimed at changing personal behavior including an event called Week without Noise in which citizens can use sound level meters provided by the city to take their own noise measurements (Cornella 2017). Cornella’s per-capita waste generation is lower than the Catalonian average largely due to several programs managed by the city. Cornella helped initiate a food channel circuit involving markets and a non-profit organization that has prevented the disposal of 45 tons of food in its first five years. Approximately 20 tons of organic waste has generated roughly five tons of compost in almost 500 composters distributed throughout the city. Cornrella also operates a green point station that finds new homes for items that would otherwise end up in a landfill. 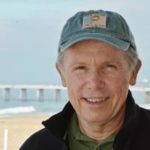 To change individual behavior, the city sponsors several public awareness events including a dinner in 2016 that served 300 meals using leftover food from businesses and local fields. As a result of all these efforts, the amount of waste that Cornella sent to landfills in 2016 was one tenth the volume buried in 2012. (Cornella 2017). 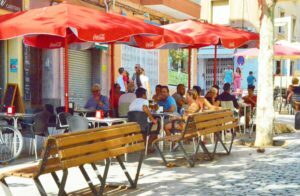 Rambla de Josep Anselm Clave is on one the 16 pedestrian routes designed to encourage walking by showcasing Cornella’s cultural and natural heritage. Cornella has a long history with water. More than 100 years ago, steam engines pumped water from the Llobregat aquifer for distribution throughout the region. Today, these pumps, now powered by electricity, still operate within landmark industrial buildings that are also home to the Agbar Water Museum. In addition to learning about the past, thousands of museum visitors annually learn about the current need to conserve and recycle finite water supplies. The city also hosts public awareness events such as the We Love Water campaign that engages people in protecting water quality as well as quantity. To maximize efficiency, Cornella uses the recycled water from its sewage treatment plant for street cleaning, industrial activities and maintaining flows in the Llobregat River (Cornella 2017). In evaluating contestants in the 2019 European Green Leaf competition, the jury was particularly impressed with Cornella’s ability to connect and empower its citizens with its strategic vision: Feel, Commit, Transform. The “feel” component includes all of the events and activities that Cornella uses to engage people with the future of their city. “Commit” refers to Cornella’s pledge to maintain an inclusive and equitable city, as illustrated by its social agreement policy and open participatory budget process. “Transform” establishes the city’s goal of maintaining its leadership in sustainability by achieving its ambitious targets for expanding green space, slashing GHG emissions, and building the connectivity of its Green Axes through implementation of Cornella Natura (RPS 2018). Cadiz, Virginia Vallve. 2017. Cornella Natura. Poster Exhibition at Urban Forest Boundaries, conference of the European Forum on Urban Forestry. Barcelona. Cornella. 2017. Application Form for the European Green Leaf Award 2019. Cornella Llobregat. Accessed on November 8, 2018 from http://ec.europa.eu/environment/europeangreencapital/wp-content/uploads/2018/07/EGLA_Cornella_Application.pdf. Dorda, J. and Berenguer, S. 2008. The Baix Llobregat Agricultural Park (Barcelona): An Instrument for Preserving Developing and Managing a Periurban Area. Accessed on November 9, 2018 from http://www.urban-agriculture-europe.org/files/callau_montasell_rural_near_the_city.pdf. European Commission. 2018. Expert Panel Technical Assessment Synopsis Report – European Green Leaf Award 2019. Accessed on October 15, 2018 from http://ec.europa.eu/environment/europeangreencapital/wp-content/uploads/2017/06/EGLA_2019_Technical_Assessment_Synopsis_Report.pdf. Llarch I Poyo, E. 1996. Preparation and implementation of a pilot action for the conservation, improvement and economic promotion of Barcelona suburban agricultural area. Accessed on November 9, 2018 from http://ec.europa.eu/environment/life/project/Projects/index.cfm?fuseaction=search.dspPage&n_proj_id=1119.0. Maranges, R. 2005. The Baix Llobregat Agricultural Park (Barcelona): agriculture for the future in a high-quality periurban area. 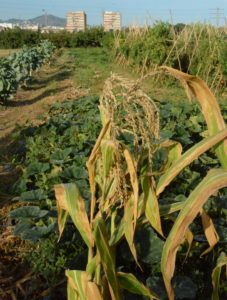 In Periurban Agriculture: Problems, Opportunities, Challenges. Accessed on November 9, 2018 from https://www.europarc.org/wp-content/uploads/2017/10/TM_2005_BXL_Periurban-agriculture.-Problems-opportunities-and-challenges.pdf. RPS. 2018. Jury Report 2019: European Green Leaf. Accessed on November 9, 2018 from http://ec.europa.eu/environment/europeangreencapital/wp-content/uploads/2015/05/EGLA_2019_Jury_Report.pdf.